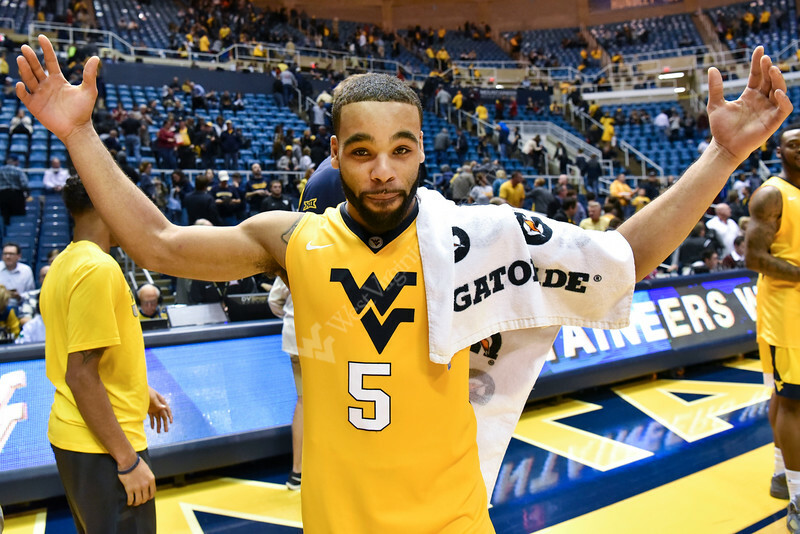 West Virginia’s Jaysean Paige (5) celebrates after shaking hands with team members of Eastern Kentucky Monday Dec. 21, 2015. The Mountaineers defeated the Colonels 84-59. The Mountaineers improved to 10-1 on the season with the victory.